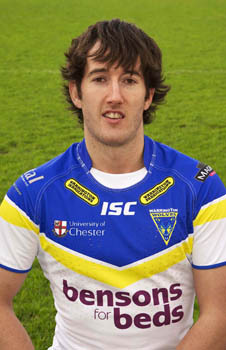 Stefan Ratchford established himself as a player to watch in 2008, having made his senior debut during Salford’s 2007 Super League campaign. He is an extremely versatile performer, having played in the halves, as a centre and on the wing. Stefan is an attack-minded player with a dangerous kicking game, a keen eye for a gap and a very useful turn of pace. An exciting player to watch, he will be looking to continue his progress in 2009.